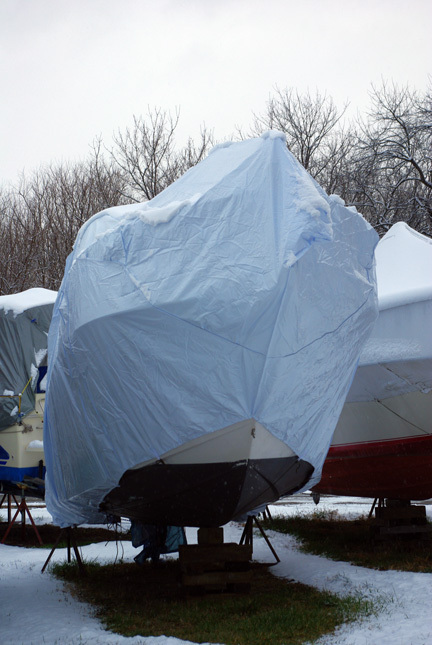 With Seapickle II wrapped up and ready for her winter slumber, we braced ourselves for the first big winter storm. 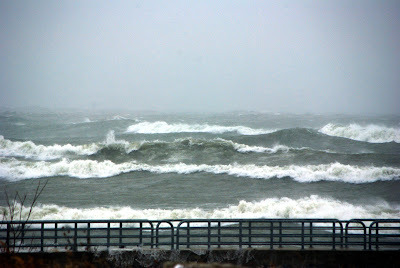 With forecasted 50+ knot winds and 25-30ft waves we had to drive out to the lake to see for ourselves. As we pulled up to Portage Park on the lakefront we were pleasantly suprised to see some of our G-dock friends... which only confirmed that they are as crazy about boating as we are. 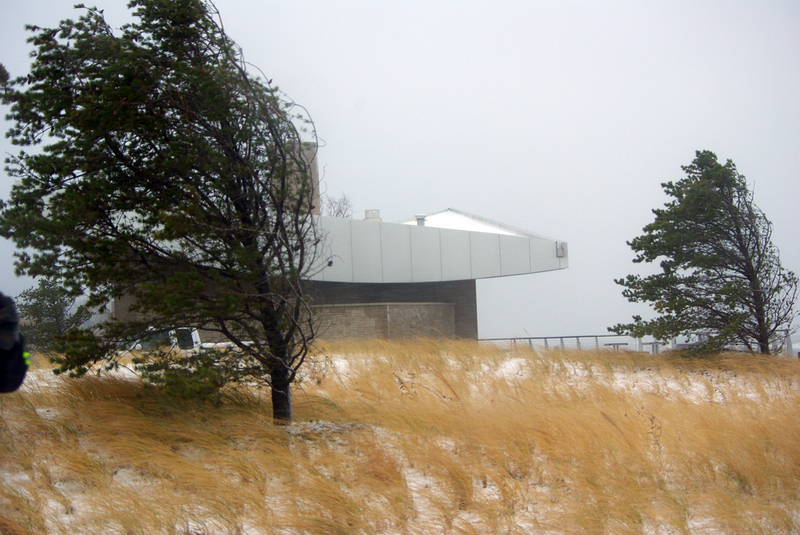 The wind was blowing so hard it was actually hard to keep a good footing while trying to walk. 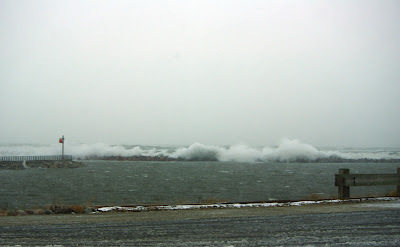 The picture below shows waves in the 15ft range...they continued to grow to 30ft after we left!!! 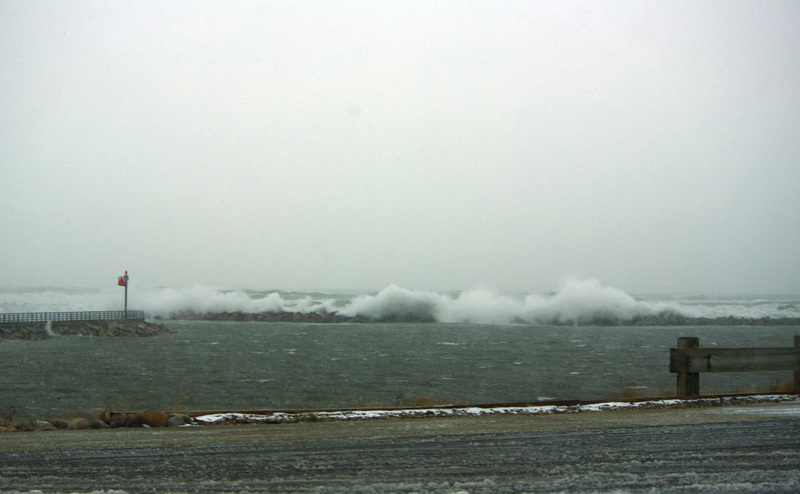 Below is a picture of waves crashing over a 10ft breakwall like it wasn't even there. 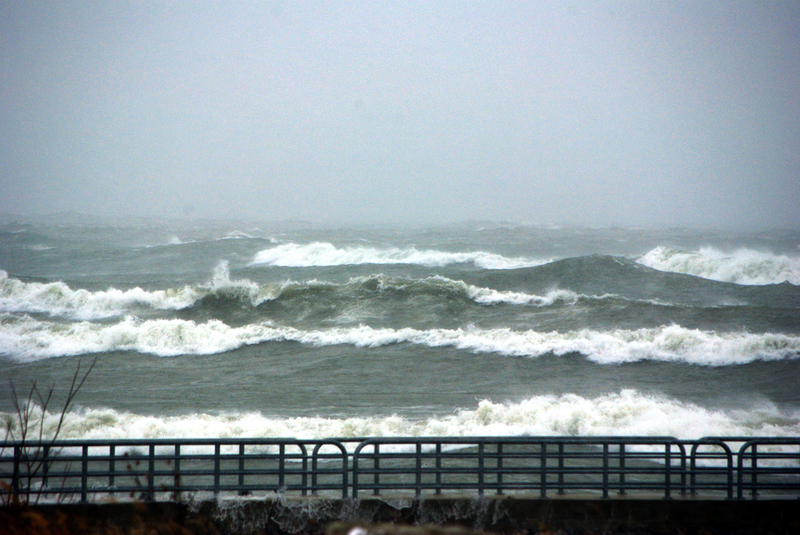 This storm did significant damage to the southern lakeshore of Lake Michigan. A report in the Post Tribune stated it will take years to repair the erosion caused by this storm. 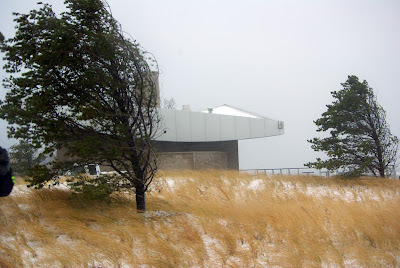 We just hope boaters beach is still there next spring. The Transhield cover we are trying this year held up in the 50+ knot winds! This cover went on so easy, has a nice soft inner liner, and is reusable...so far seems to be money well spent! Did I mention it was a 1/4 of the price of shrink wrapping!